PushCrew enables websites to send push notifications on mobiles, desktops and tablets. 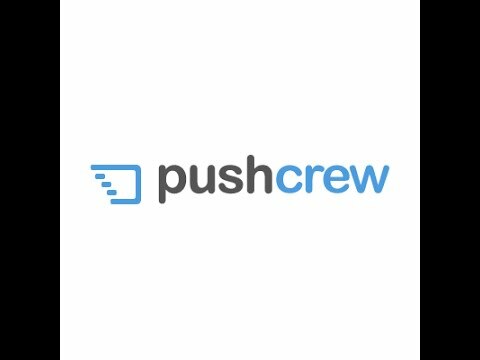 PushCrew lets you talk to your subscribers in a succinct, easy and delightful manner, using push notifications on websites. Push Notifications are clickable messages sent directly to your subscribers’ browsers (even when they are not on your site). These work on all devices — desktops, tablets and even mobile phones — so you don’t even have to invest in building a mobile app for your business. The opt-in and click rates from website push notifications are amazing! Some of our early adopters have seen an opt-in rate of 40% (10X the rate at which an average email list builds, and 20X the rate at which an average Twitter list populates) and a click rate of 20%. Of course, you get to see all this data, right in your PushCrew dashboard, updated real-time. PushCrew no tiene ninguna noticia disponible.